The slings will be shipped without the “Spaghetti” installed. Insert each “Spaghetti” into each side of the sling. 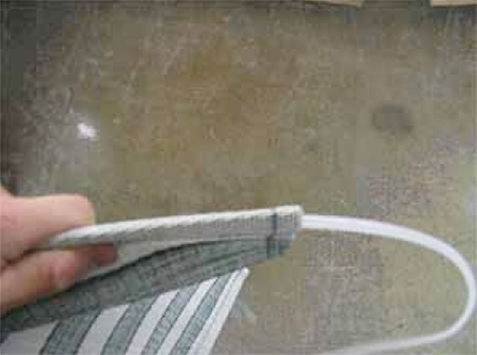 The “Spaghetti’s” are made longer: do not trim until later on, in the installation process. 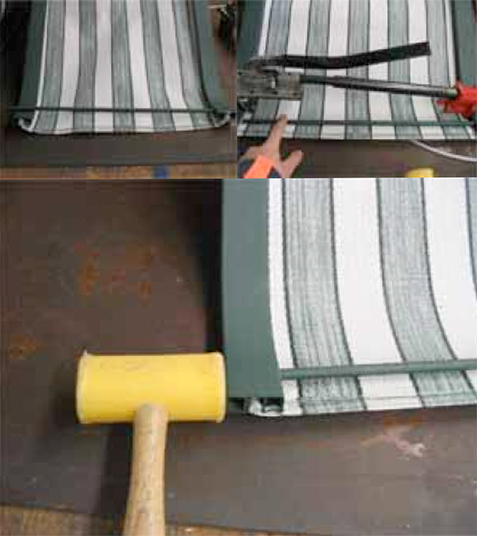 Using one hand, slide the fabric through the sling rail, while using the other hand to guide it into the rail gently. A spreader will be needed to spread the sling rails apart, allowing room for the spreader bar. Spread the rails apart, insert the bar and then close the rails. With a rubber mallet, hit one of the rails to make sure the bar is set firmly into place. 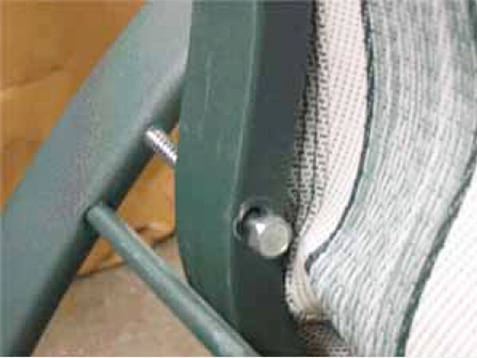 Loosely install all the screws, attaching the sling rails to the chair base. Clamp the first set of pliers at the bottom, onto the sling and the sling rail. 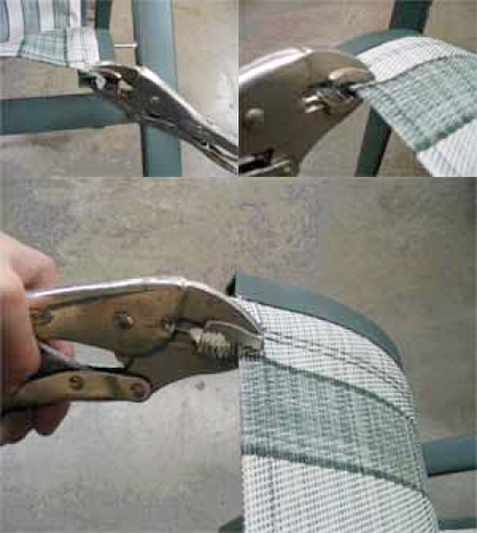 Then, attach the second pair of pliers onto the fabric, at the top. To eliminate wrinkles, pull on the second pair of pliers (the ones at the top). Tighten all the screws, cut off excess “Spaghetti” and using a rubber mallet re-install the end caps.